You are here: Home / Dear Diary / Happy Mother’s Day! Today, is my first official Mother’s Day, and what a beautiful day it is! I often look at my baby girl and can’t believe God blessed me enough to choose me to be her Mommy. When I hold her, play with her, hear her laugh, talk, cry, or peacefully sleep, I am in awe of how much love and joy she brings to my life. I couldn’t imagine life without her, and I wear the badge “Mommy” proudly. 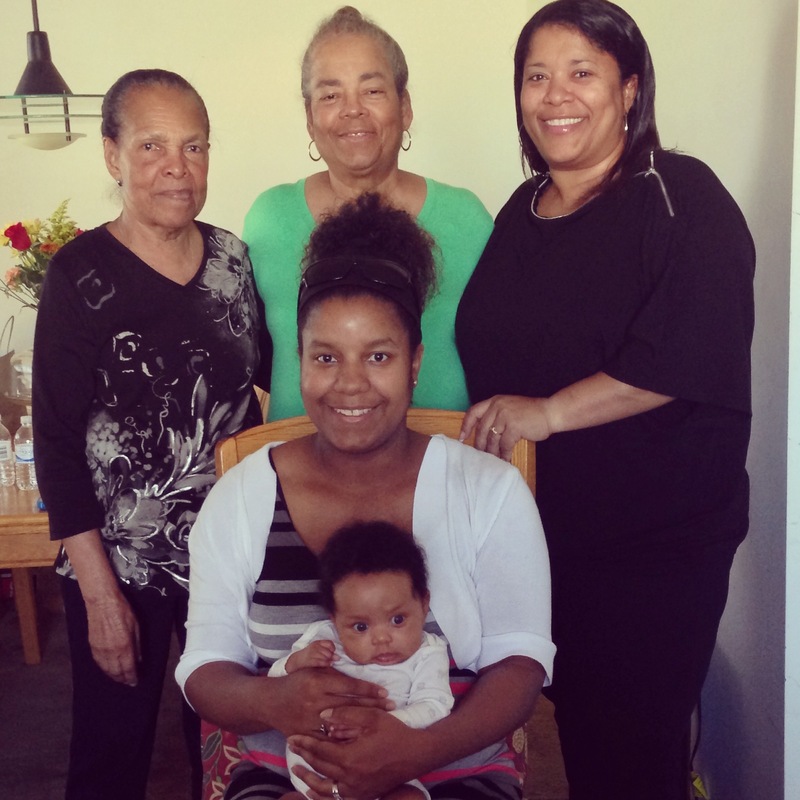 However, I want this post to celebrate my own Mother, Grandmother and Great-Grandmother. It was not until I became a Mother that I truly began to understand the love and sacrifices they have made over the years. My Grandmother was only 20 years old when she had her first child, and my Mother was 21 years old when she had me. I had Jordyn at the age of 25 and even then I freaked out, refusing to believe I was pregnant, until the first ultrasound. Their lives changed years before mine did, and yet, they were able to be amazing women. Every parent, no matter who they are, has their flaws, but growing up is what teaches us our flaws teach us self-improvement. Both my Mother and Grandmother spent most years of their children’s lives being single Mothers. Having a child of my own, and a supportive husband, I couldn’t imagine doing it without him. In their cases, family stepped up, and became the village it took to raise all of us, and I couldn’t be more grateful. To my Mother: thank you for teaching me independence. Thank you for teaching me the importance of being strong and outspoken. Thank you for teaching me I don’t have to compromise who I am or what I believe for anyone or anything. Thank you for shielding me from harmful ways and people even when I didn’t see it myself. Thank you for working hard to take care of us and provide us with everything we need and want. Thank you for being tough on me. Thank you for expecting greatness from me. Thank you for loving me unconditionally. Thank you for always being there when I need you. Thank you for being my best friend. Thank you for being MY Mommy and Jordyn’s Grandma. To my Grandmother: thank you for being the definition of selfless. Thank you for being the epitome of class and elegance. Thank you for teaching me the importance of education. Thank you for teaching me the importance of forgiveness. Thank you for teaching me how to be a lady. Thank you for showing me the definition of an angel on Earth. Thank you for teaching me family always comes first. Thank you for being the backbone of our family. Thank you for being my safe haven. Thank you for always being full of life and love. Thank you for making everyone around you smile. Thank you for allowing me to be a “Grandma’s girl.” Thank for having a heart of gold. Thank you for always being there for me. Thank you for always being a shoulder to lean on. Thank you for being the world’s greatest Grandma. Thank you for being MY Grandma and Jordyn’s GG. To my Great-Grandmother: Thank you for your big hugs and sweet kisses. Thank you for loving your “Brie-Brie” unconditionally. Thank you for your contagious and loving feisty-ness and happiness. Thank you for loving your family unconditionally. Thank you for having thirteen children and creating a huge, crazy, loving, strong-willed, and tightly knit family. Thank you for being the foundation of our extended family. Thank you for always remembering me in the midst of such a large family. Thank you for being MY Great Grandma and Jordyn’s Great-Great Grandma. Today, I am thankful for all three of you lovely women. 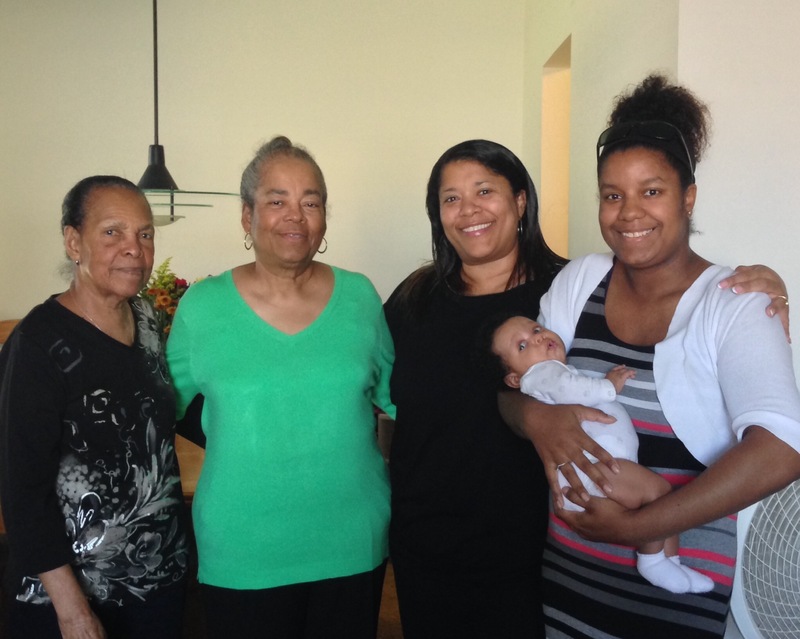 I am thankful God has blessed me and my family to have five generations walking this Earth, on this Mother’s Day. I am honored to join you ladies as a Mother on this lovely day, and couldn’t have asked for better women to look up to. Happy Mother’s Day to all of the beautiful, giving, and selfless Mothers in my family and all around the world!